Beside the performance in FY13 and the six months of this financial year ended September 2014, the rating action factors in the revision in completion date for the ongoing expansion of its hotel project. The project is planned to be completed by July 2014, as compared to the previous date of March 2014. CARE also said any liability arising on the company due to the Supreme Court order to refund money raised through Optionally Fully Convertible Debentures raised by Sahara group companies was a rating sensitivity. 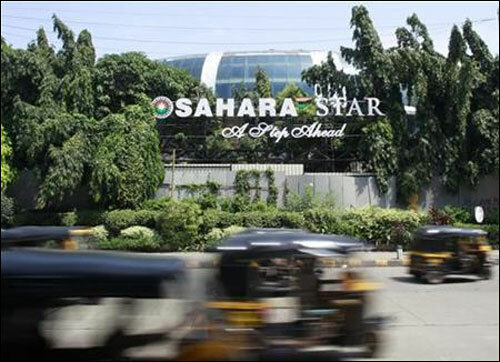 At present SHL, a subsidiary of Sahara Price City Ltd, operates Sahara Star Hotel (near the domestic airport in this city), the construction of which was planned in three phases. Phase-I was completed in October 2007, wherein 223 rooms and nine speciality restaurant outlets were constructed. The ratings continue to derive strength from the location advantage the hotel enjoys, with proximity to the domestic airport and to the new commercial business districts of north Mumbai. The hotel has affiliation with World Hotels, under their deluxe category. The ratings also factor positively the continuous funding support from the promoter company through preference shares during FY13 and FY14, in the absence of part bank funding. As on December 31, 2013, SHL had incurred a total cost of Rs 841 crore towards phase-II and phase-III of the project, funded by term loans from banks of Rs 399 crore and the balance Rs 441 crore infused by group companies. During FY13, SHL reported a profit after tax of Rs 4 crore on a total operating income of Rs 136 crore. The total operating income was Rs 65 crore and profit before tax was Rs 5 crore in the first half of the current financial year. The ratings are constrained by the residual project execution risk and inherent cyclicality of the hotel segment, CARE stated. The ability of Sahara Hospitality Ltd for timely execution of the expansion project in line with the revised schedule and to improve capacity utilisation are the key rating sensitivities.